Senior Madeline Muschalik lists the top sports accomplishments of the 2017-18 academic year at Memorial High School. "We went to the regional quarter finals. 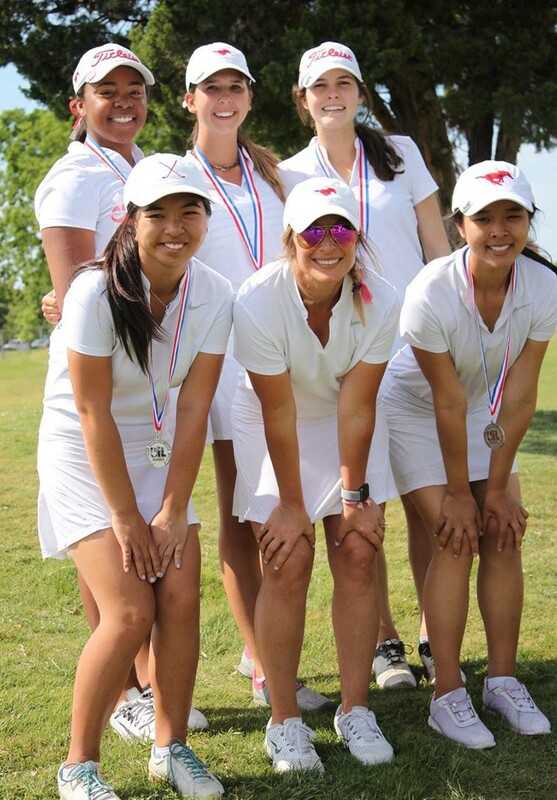 This team had a great season and ended 17th in the state out of 246 teams," Coach Gammill said. 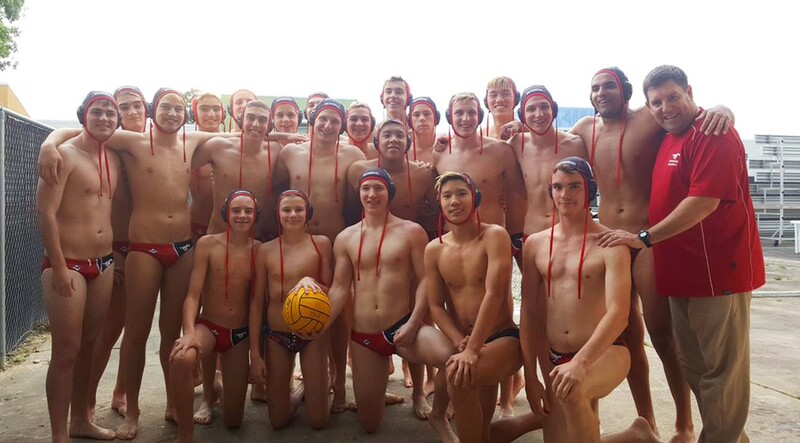 "Although we had a lot of new faces, our athletes stepped up and improved each week," Vicki Bevan said. 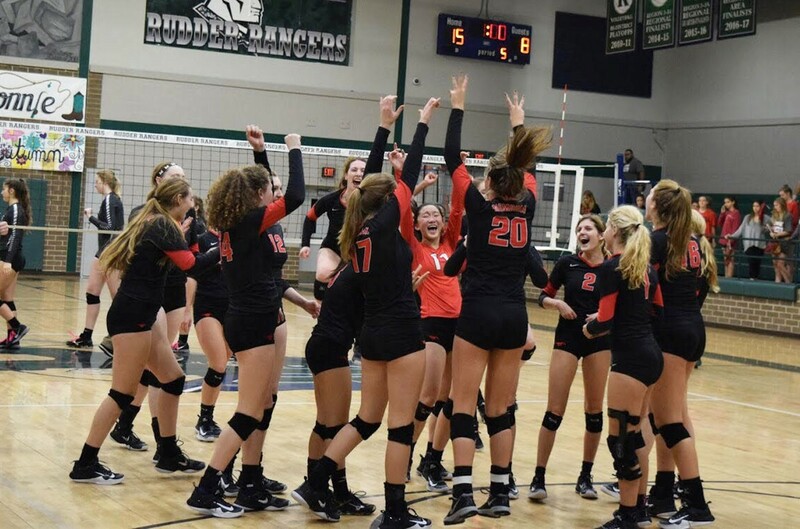 "Not only have our weekly practices and resilient mental focus paid off, but our positive attitudes, level of excitement, and sheer competitiveness were at a peak prior to the district tournament. As a team, we have discussed the impact said emotions had on the district tournament, and will do our best to mock this level of determination & confidence when we show up to the State Tournament on May 21st! I have a uniquely talented group of student-athletes that I couldn’t be more proud to coach!" Coach Paulk said. "I thought the season went well. Coming into the season I thought of us as one of the top three to five teams in the state and so finishing third at state was representative of where we stand. We started the season strong with a second place finish at one of the biggest tournaments of the year in September and finished strong with district and regional championships and top 3 at state. We are losing two seniors but there are a couple younger kids coming up who have a good chance to replace them without missing too much so I think next year we should be top 3-4 with Westlake, Vandegriff, and Lake Travis, hopefully they can get over the hump and win it all next year," Coach Noel said. "Our goal for the season was to do something historic! We sure accomplished that by qualifying for State which was our goal. We beat teams throughout the season we never had before. Our girls won their 1st game at State over the #1 seed. We had Tessa Welch named 1st team All State and Bobak Rahimi named to the 2nd team All State. The JV girls won their JV tournament while our JV boys got 2nd. 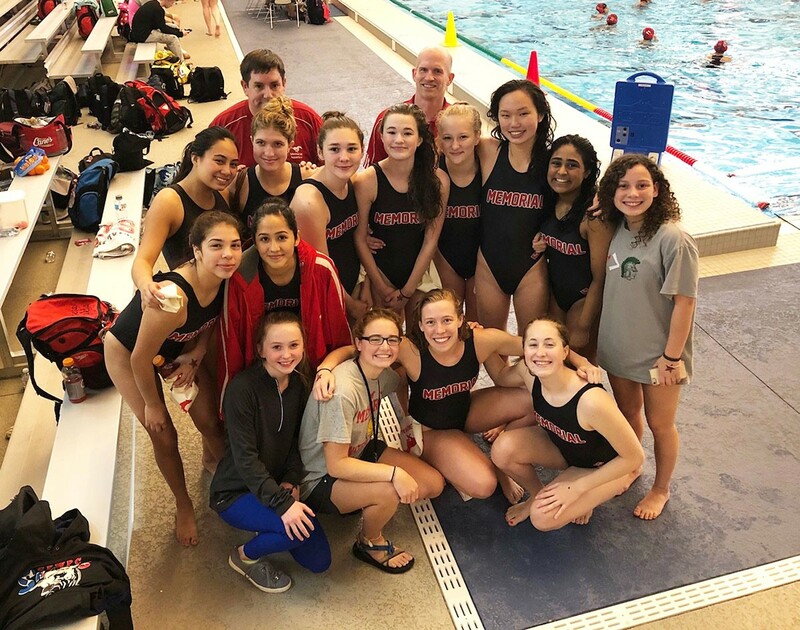 Everyone put in the time to improve as a team which truly made this a historic season for Memorial Water Polo," Coach Mauss said. 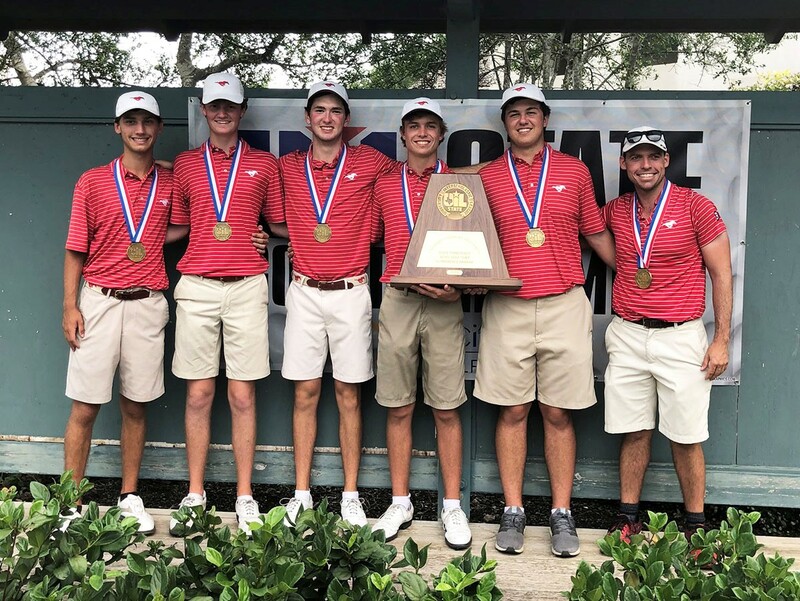 "After going to the State Tournament the past nine consecutive years with five State Finals and three State Semifinals, it was truly an amazing feeling to bring home the State Title and the Gold for Memorial HS. Only four teams out of the state qualify for the state tournament, so getting to compete at that level is a great accomplishment in itself, but to be able to win is incredible! I’m so proud of our team! Our players work hard every day on the court and in the classroom, they were prepare both mentally and physically, but I think the key factor in winning the Gold is that they really enjoy being part of the team, they supported their teammates and most important they have FUN! 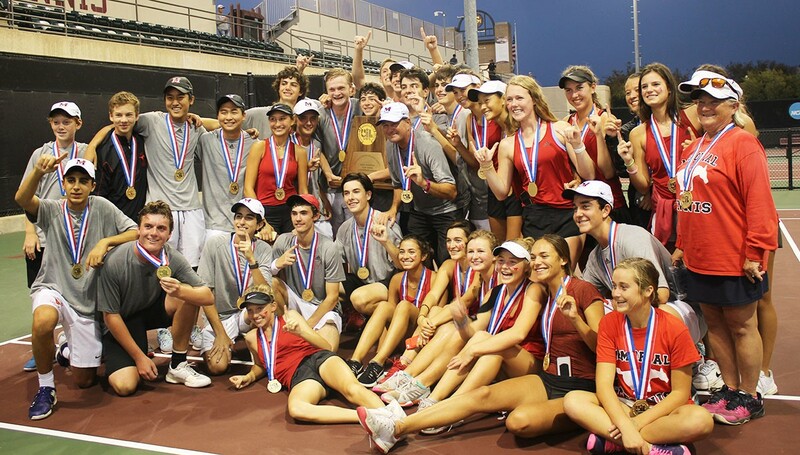 It’s been a very rewarding and successful year for Memorial Tennis!" said Coach Booth. 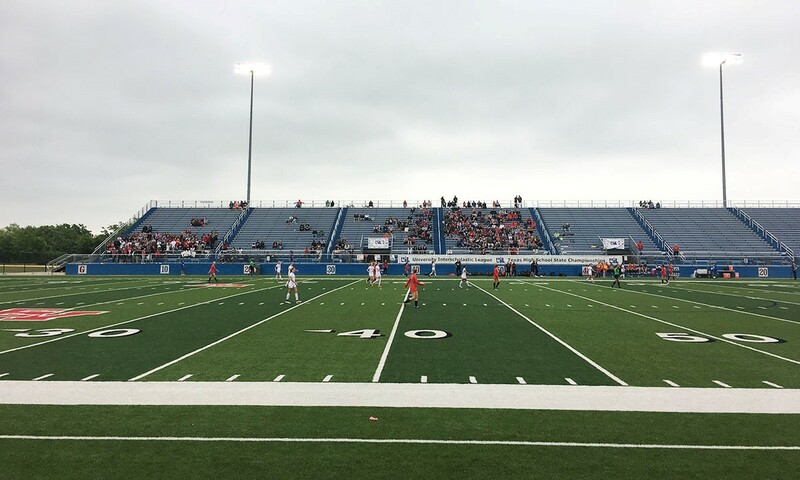 After setting a goal of State early in the season, the lady Mustangs found themselves taking Birkelbach field against Marcus. They dominated the game the entire time and ended up with a score of 3-0. "My friends and I were all so excited watching the final moments of the game. 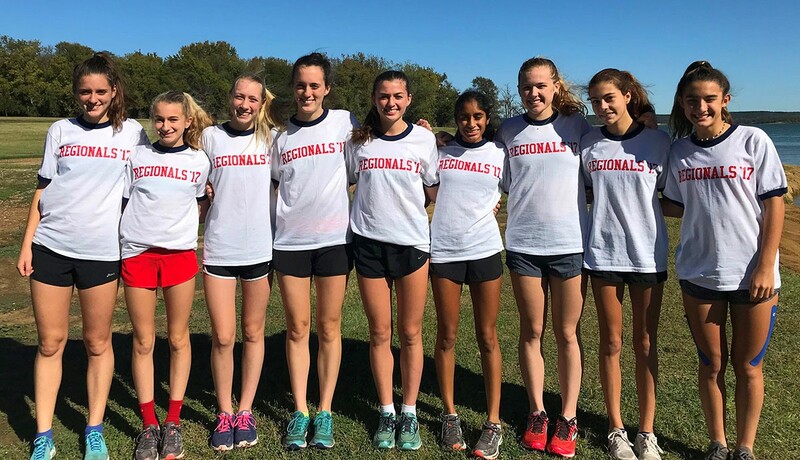 We knew when the clock ran out of time and the girls rushed into a huddle that they had made history," said Katherine Muschalik. The soccer team ended up with an undefeated record: 28-0-1 and this may have been due to their motto for the season: No Excuses. 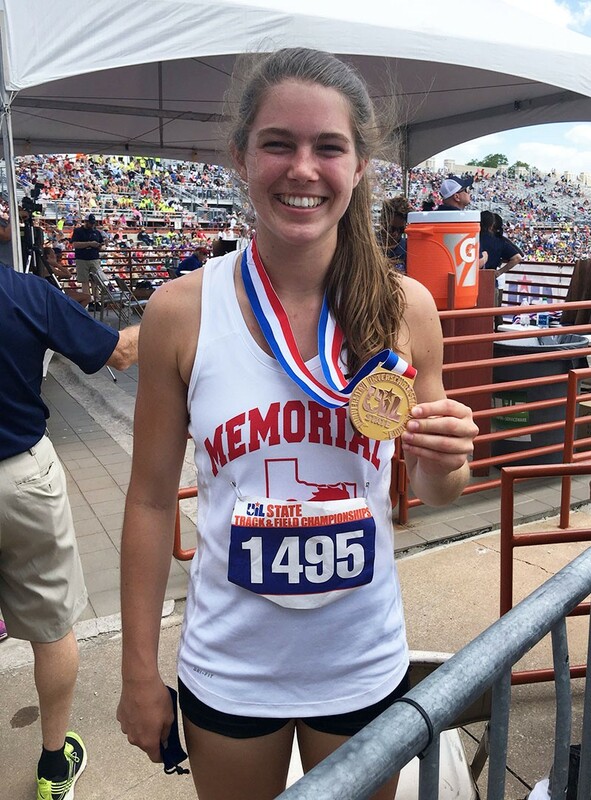 Claire Bryant: Although Memorial did not qualify for regionals, area, or state as a team Claire proceeded to advance to all three and placed 3rd in the state in high jump and 1st in the state in long jump! "We are so happy for our State Champion Long Jumper (20’4.75”)- Claire Bryant and her 3rd place in the High Jump (5’8)" said Vicki Bevan, the girls track coach. "Claire Bryant is - bar none - the best athlete I have ever coached. She’s determined, goal oriented, self critical, coachable, and powerful. She is also smart, ethical, and one of the nicest young ladies I’ve met. She has a bright future, and I am her biggest fan." said Wichmann, the jumps coach. 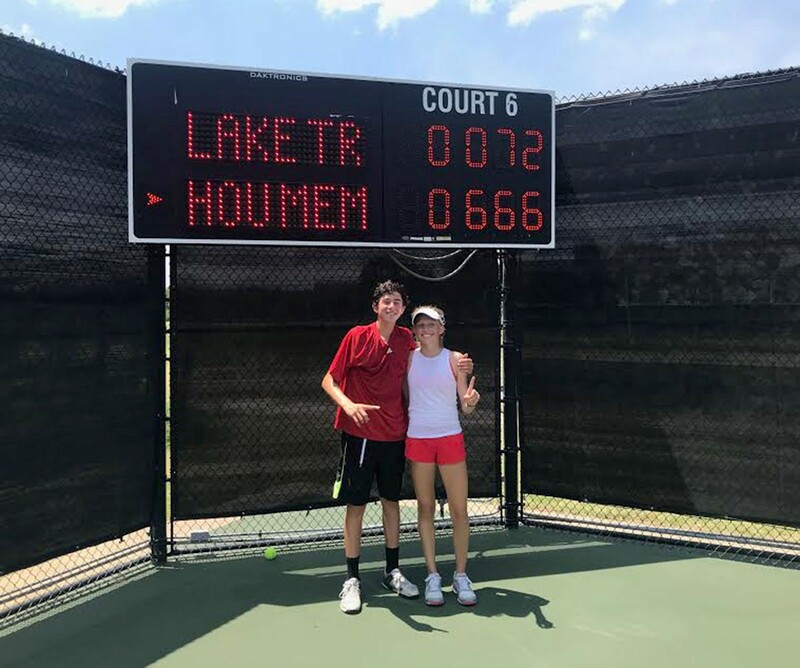 Drew and Andrew were the 2018 Mixed Doubles State Champions. "Congratulations to defending State Champion in Boys Doubles Andrew Esses and Freshman Drew Morris for winning the Mixed Doubles State Championship! They had an undefeated season winning the following Titles: Corpus Christi, SBISD, Kemah, Districts, Regionals, and State! They finished their perfect season with a three set win over Lake Travis in the finals 6-0, 6-7, 6-2 to bring home another gold for MHS!" said Coach Booth.